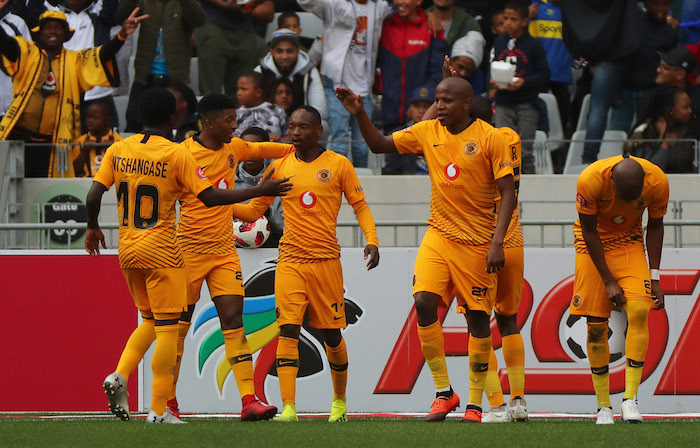 Kaizer Chiefs were without the likes of Khama Billiat, Lebogang Manyama and Leonardo Castro in their Telkom Knockout victory against Black Leopards and coach Giovanni Solinas says it was evident. The Soweto giants booked their spot in the quarter-finals of the 2018 Telkom Knockout Cup after edging Black Leopards 4-2 on penalties, with goalkeeper Virgil Vries saving two spot-kicks. Solinas acknowledged that it proved a game of two halves, saying that the likes of Barcelona and Real Madrid would also struggle if they had six key players sidelined due to injury. ‘I knew today was going to be difficult for us. We played without six key players. Six key players. We don’t have [Leonardo] Castro, [Khama] Billiat, Lebogang Manyama, [Dumisani] Zuma, [Siyabonga] Ngezana [and Daniel Cardoso],’ he said in post-match comments. ‘Also Real Madrid or Barcelona would struggle without six key players. It was a stressful game for us. I lost two years of my life today. It’s an emotional game when you go into penalty shootouts, you know it’s a lottery,’ he added. Chiefs do duty against arch-rivals Orlando Pirates in the Soweto derby on Saturday afternoon with kick-off set for 3:30pm.